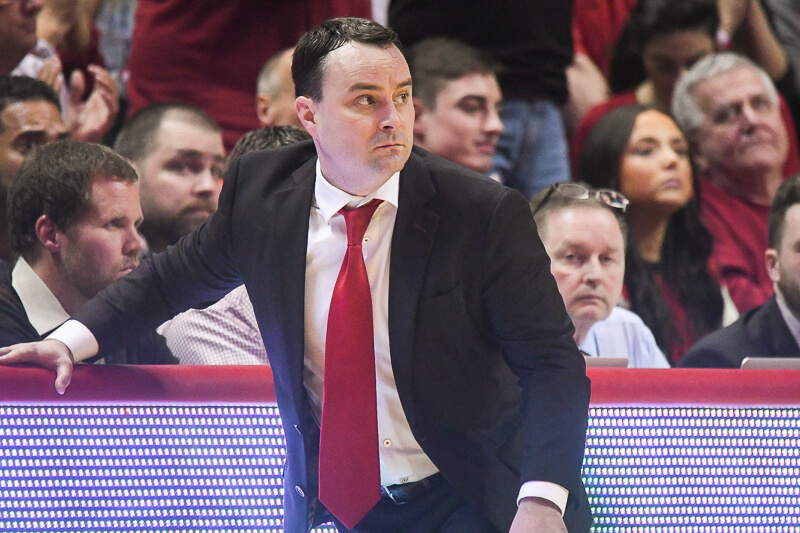 After Wednesday’s 94-74 shellacking at Cameron Indoor Stadium in the Big Ten/ACC Challenge, Indiana returns to Assembly Hall on Saturday evening to face Morehead State. Indiana traveled to Duke with hopes of competing with one of the nation’s best teams in arguably the most hostile environment in the country. The Hoosiers left Durham as recipients of a thorough beatdown. So it’s back to square one for Indiana on Saturday as Morehead State, the most capable non-conference opponent remaining on the schedule not named Notre Dame. The Eagles, coached by former Kentucky standout Sean Woods, have lost just once and it was by one at Illinois State. How will Indiana respond to its worst loss of the season thus far? Will any adjustments to lineups and schemes be made? And what will the environment be like at Assembly Hall? All valid questions that will be answered on Saturday evening. Morehead State is one of the best teams in the country at forcing turnovers and the Eagles have 11 players averaging 10 or more minutes per game. Corbin Collins, a 6-foot-3 junior guard, is the team’s only double figure scorer at 12.5 points per game. He’s hitting 37.5 percent of his 3s and is also second on the team at 3.7 assists per contest. He’s also excellent at taking care of the ball (turnover percentage of just 7.4). Miguel Dicent, a 6-foot-3 sophomore, and Brent Arrington, a 6-foot-3 senior, join Collins in the starting backcourt. Dicent is hitting 46.2 percent of his 3s while Arrington has really struggled offensively thus far. His effective field goal percentage is just 31.5 through six games. Xavier Moon, a 6-foot-2 junior, is the team’s second leading scorer, but comes off of the bench. Moon is hitting 53.3 percent of his 3s, 57.1 percent of his 2s and rarely turns it over (6.4 turnover percentage). In the frontcourt, Woods starts DeJuan Marrero, originally from Gary, Indiana, and Anthony Elechi. Marrero received a scholarship offer from Indiana as a freshman and played at DePaul before landing at Morehead. Marrero is fourth on the team in scoring (7.5 ppg) and is the leader in rebounding (6.7 mpg). At just 6-foot-6, he’s an undersized four man who has athleticism. Elechi, who is 6-foot-8 and 235 pounds, is finishing 55 percent of his 2s and averages five points and 5.5 rebounds. Two names to remember coming off the bench are Treshaad Williams and Lyonell Gaines. Williams plays just 10.3 minutes per game, but is sixth on the team in scoring at five per game. He’s also made 9 of his 13 2-point attempts. Gaines, a 6-foot-6 senior, is a solid offensive rebounder (10.9 OR%). Not to sound like a broken record, but this game is going to come down to three things. In no particular order: The first is whether IU can take care of the ball against a team that is fifth in the country in turning teams over. Indiana was better against Duke and Alcorn State in this regard, but isn’t far removed from the turnover parade in Maui. Second, Morehead State crashed the offensive boards with authority. The Eagles are the fourth best offensive rebounding team in the country. IU just gave up 19 offensive boards and 26 second chance points in Wednesday loss at Duke. And third – can IU put up any defensive resistance against a team that is very much average offensively? Morehead State is a solid 3-point shooting team (38.6 percent on 3s), but is finishing just 43.6 percent of its 2s and like IU, doesn’t get to the free throw line very well. Despite the fact that Pomeroy gives IU an 87 percent chance to emerge victorious, this game is far from a given. Morehead does two things very well that aren’t strengths for IU. If they can turn the Hoosiers over and get on the offensive boards, this will be a game. The Pomeroy projection is IU by 12 and the Vegas line opened with the Hoosiers as a 12.5-point favorite. Simply stated: If IU is a team that has any aspiration of getting back on track, this is a game it needs to win. At 5-3 with just one win over a KenPom top 100 team, the Hoosiers cannot afford any more setbacks in non-conference play. I hate saying this. But since Football is on tomorrow night I am thinking about not watching IU basketball. To say I am either depressed or despondent is very true. I still want them to win,but it’s not much fun to watch them these days. What to expect? We win by double digits but it means absolutely nothing and nobody should care. It’s Morehead St for crying out loud. How about we expect a new coach? A way to salvage the year would be Tom Thibodeau, hard nosed, defensive minded, ex-Bulls coach that’s available. Guys would listen and defense wouldn’t be an option. We could make a run with that guy. Other NBA folks, Nate McMillan (Pacers), Melvin Hunt (Mavs), Steve Gansey (Mad Ants), Casey Hill (Santa Cruz Warriors), Lawrence Frank (Clippers), or Mike Woodson (Clippers). I expect a Crean Out on Saturday. Empty seats would make a statement. Can someone tell me why this game is a stripe-out? Aren’t white outs, black outs, red outs, etc. reserved for games against quality opponents and/or games on national TV? Instead we’re going to get the crowd to rally together against….Morehead State???? Maybe we’re just trying to rally the crowd together after the Duke loss? Morehead St. is our premier home game of the non-conference portion of the schedule. They are probably testing it out to see if it would be viable to do for a much bigger game in the future. My concern? 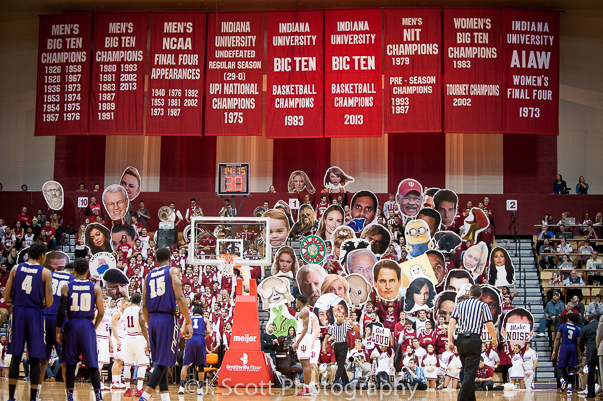 That fans are so fed up with this team that Assembly Hall is relatively empty tomorrow night. Don’t feel bad. I won’t be watching either. You need to think bigger and better. Program is very close to becoming irrelevant and I don’t see it getting back very easily unless they get a star. Bags over your head with eyes cut out would also do the trick. That goes for 6 of our next 7 games including our first two B1G opponents. Our schedule is very favorable. Get worried if we don’t do well with the cupcakes. Go North Carolina. Also, Go Florida although I doubt they have much of a chance. I want to see that playoff scenario go up in smoke tomorrow. Now, now. All doom and gloom aside, it sounds like this game is coming at a good time & will give the team a chance to work on areas in which they are…somewhat challenged. I’m going to take a break from wringing my hands and watch. My wish list: <10 turnovers, +10 rebounds, hold them under 70, and score at least one more point than they do. That's all. That's all I want. As in, former Boilermaker Cuonzo Martin? I’m not there yet, sorry brother. Brad Stevens wasn’t a star when he took the Butler job. 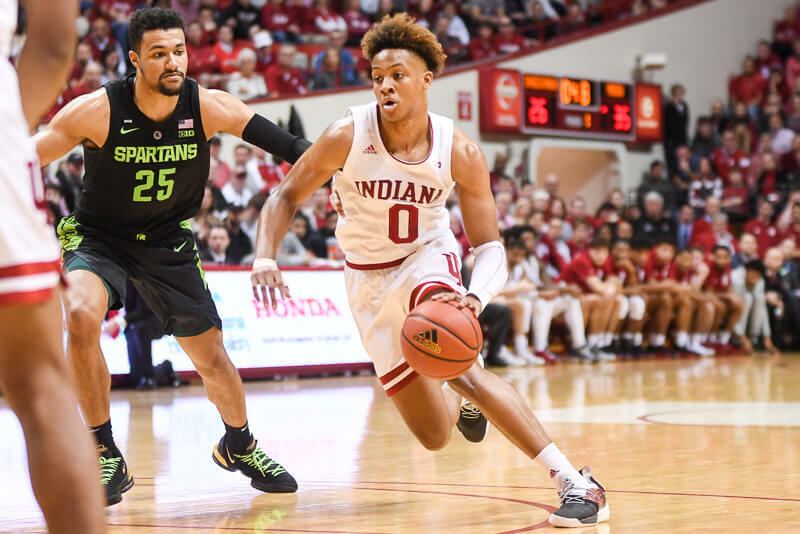 As long as the state of Indiana continues to pump out great college players and IU remains in the best basketball conference in the country, there will always be a chance to turn this program around. But how big of a name was Bob Knight before he got hired? I feel uneasy about NBA coaches going to the college ranks with no previous college experience. Hoidberg and Donovan won’t give up after a year, especially with their teams performing well. Stevens is slightly more likely but still a ridiculous long shot. I saw you bring up Cal and Self the other day. No way Self leaves and if Cals ego leads him anywhere it’ll be right back to the NBA. So what big names are out their that aren’t nearing retirement? I’d take the temperatures of Few, Bennett, and Wright, but their lack of post season success is concerning given the seeds they’ve earned. Less so with Few but he seems to comfortable at Gonzaga. All in all I imagine IU gets a young up and comer as opposed to an already established great. We’re basically 1-2 against cupcakes. I was trying to think big, he’s 6’6″ 260. It was a joke to be honest, I was being reprimanded for small mindedness. I think the point might be that we shouldn’t really be calling anyone playing against IU a cupcake. If we don’t want to be called muffins, that is. LOL. Alford. He can take an unranked team and knock off the #1 team. I wonder if coach cal will cry about never playing in Pauley again?? Everyone is bashing Crean and rightfully so but how about the idiot who gave him such a long term lucrative contract . What was is based on? Thanks! You saved me an explanation!! LOL! Yea, well aware of that. Just taking a opportunity to bash Cal. Alford is in hog heaven now. No reason to return the ghosts of B-town.. When he took over a couple of years ago Steve only had 2 scholarship payers coming back. His recruiting has picked up..that will continue. I mean UCLA..the weather, campus, ladies, swimming pools, movie stars.. and a fun offense. What’s not to like. Where else can TV show you Jerry West and the Big O” sitting together talking b-ball?Not sure how Monmouth beat UCLA this year..but then they beat two other big schools in the same tournament. Go figure. Love UCLA’s bigs. 6-11 center (Welsh) who can do it all and a true big mean power forward (Parker) who gets everybody else out of the way. Alford would have to be nuts to leave his current set-up. You can’t compare Knight to now. The point is today s player doesn’t have to go to any school to get found. So the “this is Indiana” argument doesn’t really work that well. Players don’t care. I don’t think either of those guys comes either But that’s where to aim. I think all three have turned down the IU job at one time or another. I know Few and Bennett have turned it down, not for sure on Wright, but I think his, “thanks, but no thanks”, just wasn’t as public as Few’s and Bennett’s. I think the next person to occupy the head coaching job at IU is going to very likely be the most important hire in a long long time, cause if the next one doesn’t get it done and get it done in a major way the program may never make it back to where most feel like it should be. IMHO I think you have to a sit down with Stevens and see just what it would take for him to take it. There is some kind of scenario that would entice him to take the job, what exactly that package is I don’t know. I’d say it comes down to whether or not the powers that be at IU are willing to put that kind of offer on the table. TC doesn’t have a whole lot of things working in his favor right now, but the number of legitimate candidates to replace him being so small and unattractive is one of them. 3 man weave of death, no defense, 30 3 point shots, out rebounded, weak attempt at zone (s) defense, coach blames players for being young blah blah blah same old story that I’m sick of. A sin to ever miss a chance to do that. lol Job well done. I don’t give a rat’s a$$ how many points “we” score. In this game I want it to be extremely obvious that the focus is all about playing defense, rebounding correctly, and not turning the ball over in stupid ways or while trying to make it onto sportscenter highlights. The last thing this team needs is to have a game that ends up with us winning by 30 points or more, us scoring 90 or so points, but allowing the other team to have the best stat line they’ve had all season. That was exactly the kind of game they had against Alcorn State and we see how much progress was made after having a game like that one. 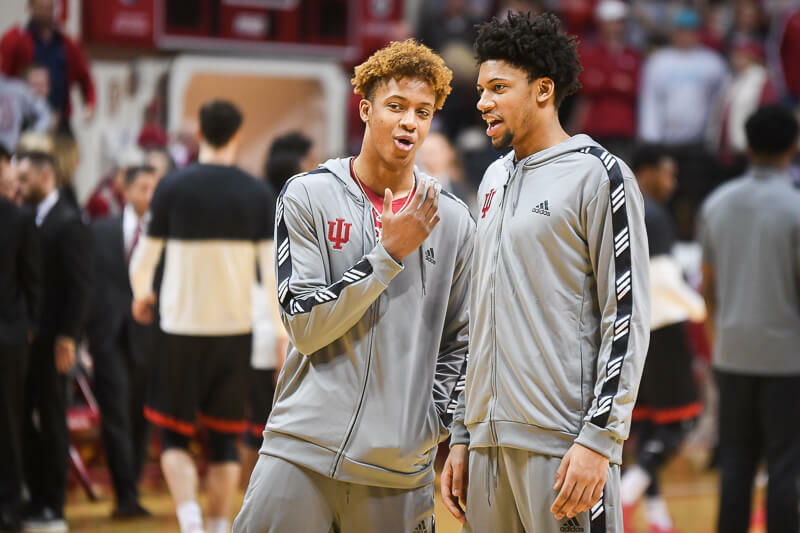 I know the object of the game is to score more points than your opponent, but it’s the way you go about doing that that matters, especially when you’re a team like IU is. We simply can’t have a game where we win big simply because we are at home and have more players with more natural athleticism than the other team. A lot of people seem to care. He is the coach most fans would like to take over at IU. Knight was coaching a mid major before coming to IU. We need a good fundamentally sound coach who understands defense and can teach it. Knights and Stevens team were based on sound defensive principals. Perhaps. I definitely think this hire is crucial has it will be harder and harder to turn it around, but I don’t think it’ll ever be impossible. We al want to see this program win championships and think it should. It’s definitely worth calling Stevens but if he is committed to the Celtics then there isn’t much we can do. I don’t think it’s all about the dollar bills with Stevens, but even if it were we already have 3 mil a year on the table for Crean and Ainge won’t give up Stevens without a fight. Although his buddy McHale is free for a job offer now. Same can be said of Arizona with Sean Miller. I think Miller and Stevens are actually are best big name bets, but still long shots. If they fail Id probably look Marshall’s and Chris Macks way. If not we may have to dive pretty deep unless we can get Iowa States coach to leave after a year. He isn’t leaving. You think his wife wants to leave LA for Bloomington? Plus he was on radio saying he wants a pic with Jen Aniston. He isn’t coming. Don’t know if this is true or not but if it is, some of us might see it as a positive. Maybe the Celtics are getting a bit antsy that he might be open to bolting for the IU job. It’s true Ainge said it to Boston media couple weeks ago. I would assume if IU was a dream job he would leave any other job for, he would have told the Celtics during hiring process.